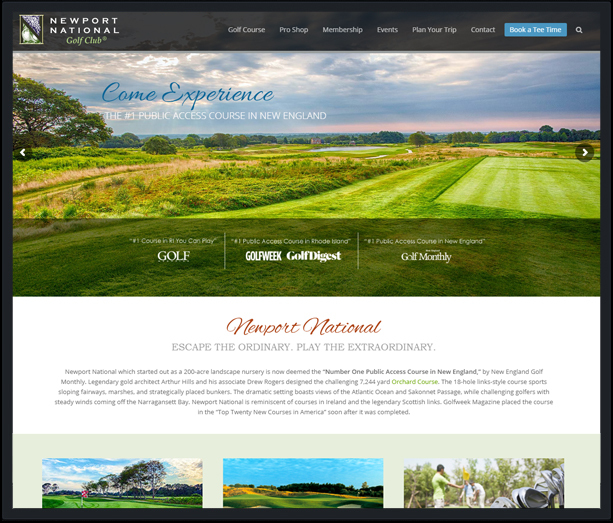 Newport National which started out as a 200-acre landscape nursery is now deemed the “Number One Public Access Course in New England,” by New England Golf Monthly. Legendary gold architect Arthur Hills and his associate Drew Rogers designed the challenging 7,244 yard Orchard Course. The 18-hole links-style course sports sloping fairways, marshes, and strategically placed bunkers.